I measured everything on the aida cloth I’d be using, and he would fit just perfectly. But first, I decided to try an experiment. I didn’t want just a plain white background, especially since the person I was making him for isn’t fond of white, but the only other colors I had were light pink and light blue. 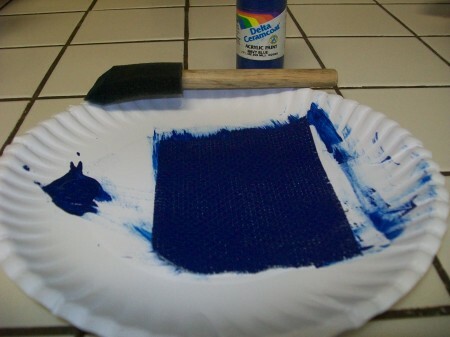 Pastels just didn’t fit, so I grabbed some dark blue paint and painted my fabric blue (sung to the tune of “We’re Painting the Roses Red” from Alice in Wonderland). I was afraid the paint might cover the tiny holes in the fabric, which would have been a problem, but it glided on without a hitch. Perfect. Then I chose my colors of thread and got to work on the cross-stitching. Somehow, despite all my measuring, he turned out a tad big for an ATC (grrr! ), so I had to adjust him a bit. I secured the fabric all the way around with a glue gun to make sure it wouldn’t fray and none of the stitches at the edges would come out. 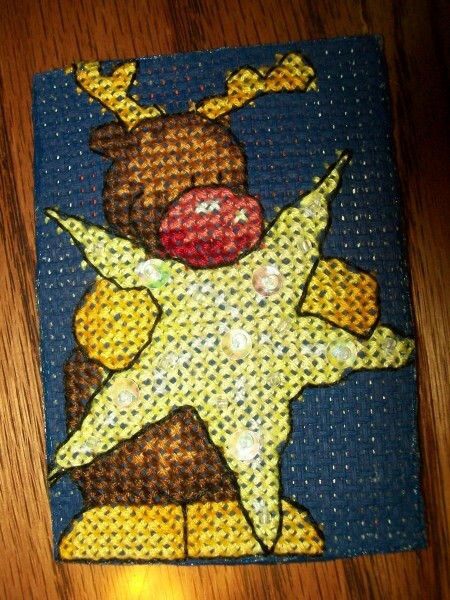 I also sewed in some beads and sequins on the star for some added sparkle. I <3 sparkles. And here he is in all his star-shining glory. 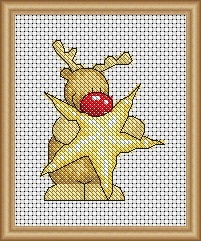 I think it worked quite well for an ATC, and the method would also be great for Christmas ornaments. I’m glad I signed up for the swap and got to try cross-stitching again. I highly recommend it! EDIT: Nyan Cat costume tutorial here. I didn’t take many pictures as I made it, but maybe I can explain and make this a bit of a tutorial (if for any reason you would want to make a large fabric pop-tart in the future!). 1. Cut the light pink felt piece down about a three-fourths of an inch all the way around UNEVENLY. You want it to be slightly scalloped to give it more of an icing-on-pastry look. It will be about 10″ x 7″. 2. 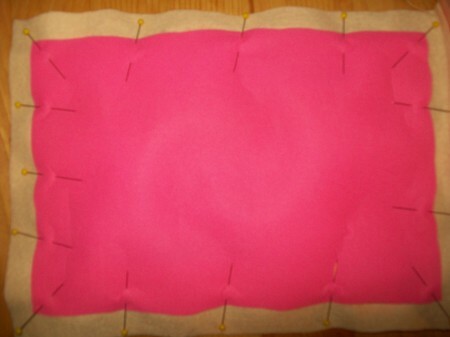 Cut around a pastry-colored piece of felt slightly, just to make the edges uneven like the pink piece. 3. 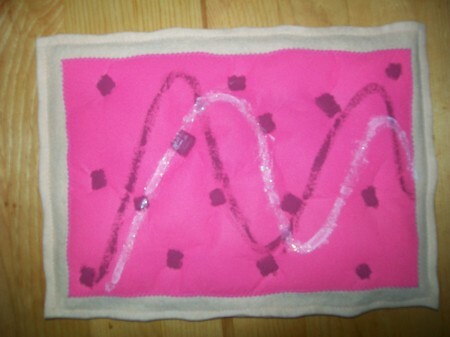 Spread out some fiber-fill or cut down a piece of batting to slightly smaller than the pink felt piece. Place the batting/fiber-fill on the cut pastry piece and place the pink icing piece on top. Pin in place. I am not a painter. Period. But I do enjoy painting with my old watercolors occasionally, though usually for small things such as ATCs (Artist Trading Cards). I took a couple painting classes back in high school, and I seldom created anything that I liked. My paintings often had a harsh, rigid look that I didn’t like. I found that oil-based paints made it worse, but water-based paints helped create a softer look. This painting was one of the first I ever painted that I actually liked. It’s not that good, especially close up, but it has the feel I was going for and I love the colors. 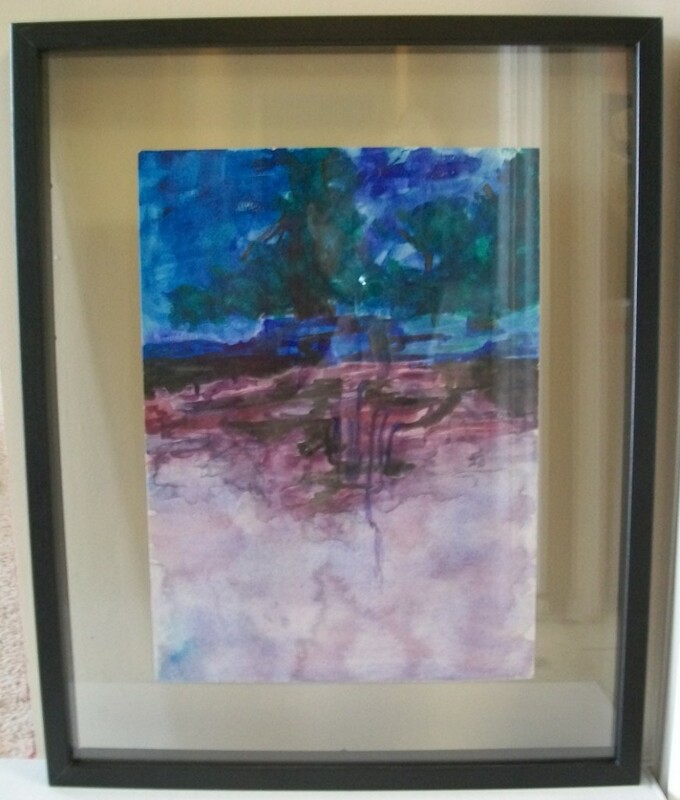 So when I recently came across some awesome “floating” frames, I bought one thinking it just might work for my old painting. I haven’t decided where to hang it yet, but it makes me happy to actually see it out and not hidden in a closet somewhere.